SACRAMENTO - Carol Wayne Rickard, age 75, of Sacramento died Saturday, May 14, 2016 at Heartford House of Western Kentucky in Owensboro. 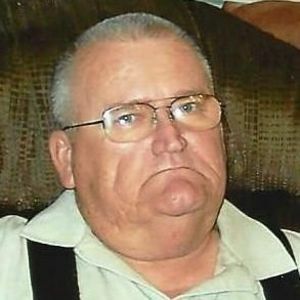 Mr. Rickard was born November 14, 1940 in MClean County. He was a a member, Elder and Sunday School Superintendent at Poplar Grove Cumberland Presbyterian Church and a 50 year member of Masonic Lodge 735 in Sacramento. He is survived by his wife Patricia A. Ellis Rickard and daughters Gail L. Rickard of Sacramento and Carol Ann Rickard (Kevin Brasher) of Bremen; grandchildren Timothy D. (Beth) Antle, Bethany (Tyler) McCoy, Christopher D. Brasher (Stephanie Evans); great granddaughter Gladys Maryann Antle. Funeral services will be Wednesday, May 18, 2016 at 2:00 PM at Tucker Memorial Chapel, 520 Main St., Sacramento, KY with Rev. John Butler officiating. Burial will be in Poplar Grove Cemetery. Visitation will be Tuesday, May 17, 2016 after 5 PM at the funeral home. Masonic services will be held Tuesday evening. 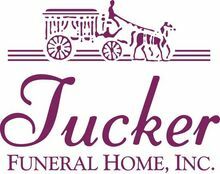 Expressions of sympathy to the Carol Wayne Rickard Memorial Fund, %Tucker Funeral Home, P.O. Box 548, Central City, KY 42330. Online condolences may be made at www.tuckerfuneralhomes.com. I'm so sorry for your loss. Prayers are with you now and in the days to come! I'm so sorry for your loss. Just heard about it tonight May18,2016. Wanted you to know that you'll be in my thoughts & prayers during the coming days. Love you guys & miss seeing you at the bank! May God bless you with His peace & comfort. I'm so sorry to hear of Mr. Rickard's passing. Thoughts & prayers go to all the family. Prayers of comfort for you and your family at this time of loss. I am Regina's oldest daughter. It is a shame families lose touch. I have fond loving memories of Aunt Elsie, Uncle Thurman & Wayne as a child when we lived in Sacramento. God Bless you all. So sorry to hear of your loss. Prayers are with you and the girls.